Dimensions 0.50 by 4.25 by 5.75 in. Amazon.com description: Product Description: Edward Goreys off-kilter depictions of Yuletide mayhem and John Updikes wryly jaundiced text examine a dozen Christmas traditions with a decidedly wheezy ho-ho-ho. 1. Santa: The Man. Loose-fitting nylon beard, fake optical twinkle, cheap red suit, funny rummy smell when you sit on his lap. If hes such a big shot, why is he drawing unemployment for eleven months of the year? Something scary and off-key about him, like one of those Stephen King clowns . 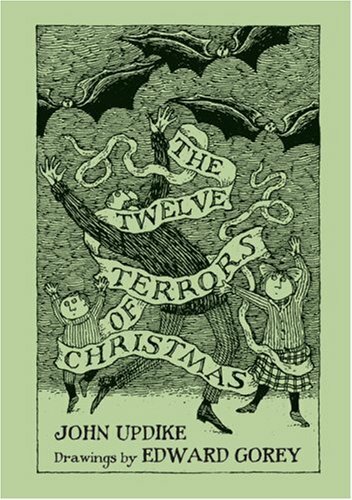 . .
About: Edward Goreys off-kilter depictions of Yuletide mayhem and John Updikes wryly jaundiced text examine a dozen Christmas traditions with a decidedly wheezy ho-ho-ho.